This recording originally came to me as August 14, 1973, but it certainly isn’t from the same concert as the six bonus tracks on “An Evening With” reissue, which are from August 14. However, the band arrangements are basically the same, so the two concerts are likely to be from the same era. 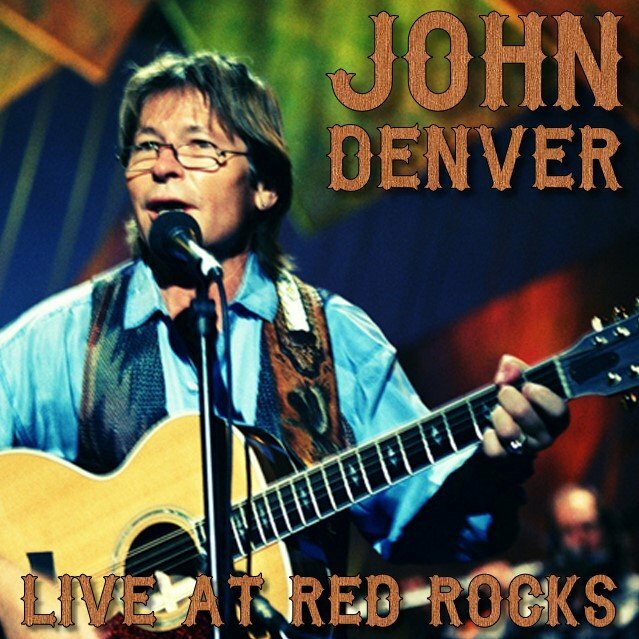 John Denver certainly did more than one concert at Red Rocks that year. The concert was broadcast on TV in 1974, so I’m almost certain that VHS is the original source. My guess is that the tape is at least 10th gen. So it’s not a crisp clear recording, but not bad either. You can also find the video of a few songs on YouTube. It’s pretty obvious that the recording has gone through massive edits before being broadcast. It’s certainly not the full concert, as they have to jam everything into an hour. You’ll also notice a lot of very loud crowd noise between songs - I guess they put those noises into the recording on purpose. If the TV station hadn’t done so much unnecessary “remaster”, this might be a very good recording. The original 14th track from this recording was “Annie’s Song”, but the song was written in 1974, so it can’t be from the same concert as other songs. It seems quite logical that they would have wanted to include his latest big hit in the special which was broadcast only a few months after it was in the charts in 1974. According to my friend Michael, the song actually came from 1974 album “Back Home Again”, so I removed it so as to get rid of official stuff. The two bonus tracks are from a BBC broadcast concert called “Sight & Sounds”. 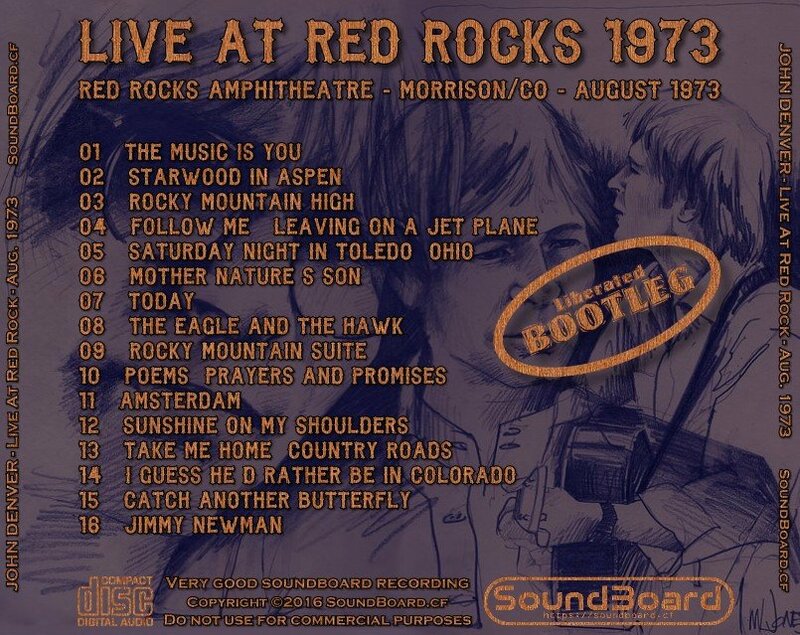 I don’t know if January 18, 1973 is the concert date or broadcast date. 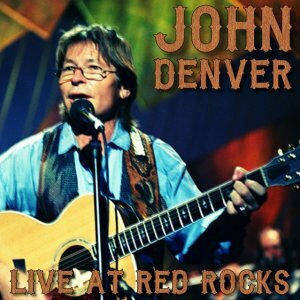 Live At Red Rocks 0 out of 5 based on 0 ratings. 0 user reviews.